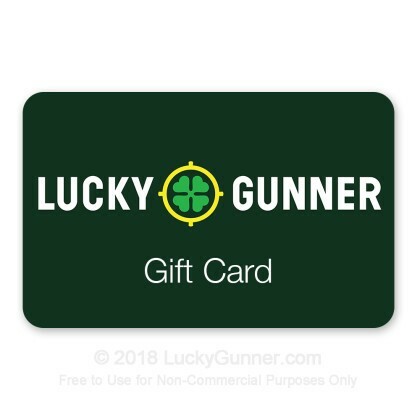 Instant delivery to your inbox if you want to buy a gift card, and can be used to use multiple credit cards for your order. My girlfriend gave me a $100 gift certificate for Christmas. I spent it on some 223 and 308 rounds. The shipment took about 1 week to get to me and was pleasantly surprised at how well the shipment was packaged. I like the selection you get from their website and the order was processed quickly. I will definitely be ordering from here again. No complaints from my side, always happy to buy ammo from you guys… keep putting out those specials!! Thanks.